From lights to music, the living room is where internet technology really comes into its own. Discover the smart tech that will transform your lounge - and your life. According to a recent survey for BT, the living room is where we're most likely to do our online shopping, broswe the internet and use voice-activated smart speakers. Walk into the average living room and you might find Dad on the sofa, doing some internet shopping on his tablet, Mum watching Netflix on the TV and the kids are glued to YouTube or the latest video game on their smartphones. With so many roles to fulfil, the living room has the potential to be so much more with smart home technology. In this guide we’ll show you how to do just that. In winter a no-one wants to come home to a house that is freezing cold. Using your smartphone you can pre-heat the house through a smart heating system like Hive or Nest. You can set a schedule or if you are going to be late back, turn the heating on remotely. Smart heating systems can even detect when you leave your home and when you’ve come back and turn the heating on and off automatically, so you don’t have to do anything. You can even get an alert if you’ve accidentally left the heating on. Instead of stumbling into the a dark, unwelcoming house, use a smart lighting system like Philips Hue, Hive or LIFX to light your living room ready to greet you as you walk down the street. Each bulb is low energy and wi-fi enabled, giving you complete remote control from your smartphone. If you use Philips Hue or Hive you can also buy motion sensors that automatically turn the lights on whenever you walk into the room and off when you leave. There’s something almost indescribably satisfying about getting home after a hard day, dumping your shoes by the door and sinking onto the sofa. Smart lighting can completely change the feel of a room to make it more relaxing through the use of targeted spotlights, accent lights for the TV or multi-colour bulbs in lamps. You could start with a relaxing warm glowing amber that replicates the feeling of having an open fire, then when you settle down for a movie the entire room responds with a rainbow of colours, immersing you completely in what’s happening on screen. Once set up, your lights can respond to music, movies and if you have a gaming PC they’ll even respond to the video games being played. If you fancy relaxing to some music, rather than using the same old speakers that have been hooked up to that CD or record player for the last 10 years, breathe new life into the room by giving your music the stage it deserves. Smart speakers are fantastically convenient thanks to the fact they’re managed via an app on your smartphone or tablet which means anyone, including guests, can control them and you don’t have to move from your sofa. The Sonos Play:5 offers hi-fi-quality sound in a single powerful speaker, or use the Sonos Beam and two Sonos Play:1s to create your very own 2:1 system. Another option is the compact KEF LSX stereo smart speakers, built to be as comfortable streaming Spotify as they are playing your record collection thanks to wi-fi, Bluetooth and wired connectivity. Whether you are settling down to watch Darkest Hour together or simply catching up on the latest episode of Strictly Come Dancing, the living room is you’re the place to watch the latest films and TV. You can have access to thousands of films and TV shows, along with Netflix and Amazon available whenever you ask for them, with BT TV or a Smart TV. To make things even more convenient, some Smart TVs like the LG 55-inch B8 OLED TV can be controlled with your voice through Google Assistant. Instead of searching through every app you simply say “Hey Google, play The Expanse on Netflix” and your TV will oblige. You can still binge watch Stranger Things or catch up with The Vikings without having TV with a built-in internet connection by plugging in a streaming dongle like the Google Chromecast or Fire TV Stick. These dongles plug into the HDMI port on your TV and connect to the internet giving you instant access to all your favourite streaming apps as well as BT TV and BT Sport. The Fire TV Stick + Amazon Echo actually goes one step further by giving you instant voice control over your TV. Pair both devices then say “Alexa, play The Vikings on Fire TV” and it responds. Not everyone is going to want to watch the same thing though, which is why the living room is a multi-screen space. 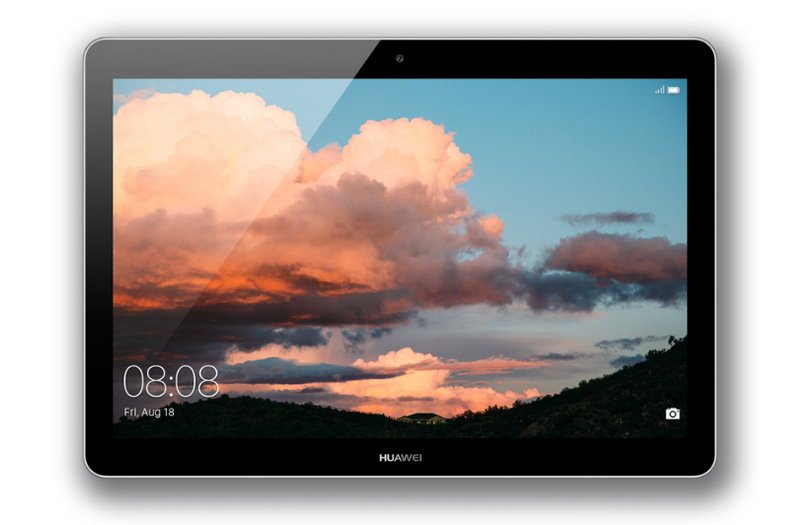 Tablets like the Samsung Galaxy Tab S3 or Huawei MediaPad T3 are the perfect second screen for living rooms as they can offer great quality screens for watching films and yet still be portable enough that they can be carried around the room with ease. If you have creative kids or grandkids, the Tab S3 also supports a digital stylus, allowing them to draw and doodle to their hearts' content. Finally you’ll never have to worry about the kids arguing over who plays what as both tablets are capable of running the latest mobile games including Fortnite, PUBG, Minecraft and more. Video games have come a long way since the days of Pong and now more than ever they’ve been designed to get the whole family involved. They’re a great way of spending time with your kids and if you choose the right games they can be a fantastically creative way of passing an afternoon. Family-orientated games consoles like the Nintendo Switch have been designed from the ground-up for family gaming - you don’t need lightning-fast reactions to play or knowledge of some long-running fantasy world. Each Switch can be used as a handheld console or it can connect to a TV and comes with two detachable controllers that instantly lets two people play. If conventional video games aren’t really your cup of tea then why not get everyone involved in an interactive game? The Amazon Echo isn’t just your go-to source for music, radio and timers, it can learn new features through the Skills menu in the Alexa app on your phone. One of those is to become a gameshow host, with a whole range of different games on offer including Trivial Pursuit, Heads Up or Who Wants To Be A Millionaire. To make things interesting why not invest in some Echo Buttons which can be used to give each player their own buzzer?